We are a private, non-profit assistance ministry serving the emergency needs of low-income families in Loudon County through cooperative efforts of churches, civic groups, local governments, utility companies, social service agencies and individuals. Distributed 264,926 pounds of food. Assisted 663 families with utility bills. Issued more than 600 vouchers for clothing and household items. Assisted 292 people with medical and dental needs. Filled and distributed 900 backpacks filled with school supplies to Lenoir City and Loudon Country students. Provided financial sponsorship for the Weekend Snack Program for almost 500 Lenoir City and Loudon County students. Assisted 42 families with rent/mortgage payments. Served as distributed point for Four Paws Food Pantry. Poverty has many faces - loss of job, repossessed automotive, house foreclosure, inability to pay utility bills or buy prescription drugs. Most of us already know someone experiencing poverty at some level, where heads of households have to make hard choices such as, “do I buy food for my family or pay the utility bill?” Could it happen to you? Your neighbor? Your family? Each day, the GSC staff and volunteers see this dilemma happen to many people, even those who never thought it would happen to them – but no matter what the circumstances were that brought you to poverty, we are called by God to provide assistance for you. In February 1997, the Loudon County Ministerial Association appointed a committee to explore ways in which we can provide a centralized assistance ministry to those in need. The committee visited Interfaith Assistance Ministry in North Carolina and then proceeded to establish plans for a similar ministry in Loudon County. A board of directors was formed, guidelines were formalized and, on October 1, 1997, the Center opened. The Good Samaritan Center was established as a central location for area churches and organizations to come together and pool their resources to assist those in need in Loudon County. Click here for additional information. Or Contact Cindy Black, Executive Director, at 865-986-1777, Ext. 12. All positions require training prior to being placed on “Active Duty”. Here are some of our Volunteer Opportunities. Front Desk Receptionist -- When someone in need enters the doors of GoodSam, the first thing they are looking for is a smile and a kind word. Intake Counselor -- Those of you that are compassionate, patient, willing to learn and become knowledgeable about Loudon county human resources would be excellent in this position. Works with incoming clients, makes assessment of client needs and performs other duties as described in the full job description. Special Event Planning Committee -- Be willing to assist in the creative planning and implementation of upcoming events and fundraisers for the Good Samaritan. This is a great opportunity to put your creative energies to work. This role promises to be rewarding and fun, as well as offering the opportunity to meet and work with others. To provide our donors with more giving options, GoodSam has established an endowment fund through the East Tennessee Foundation. Known as the GoodSam Legacy Fund, it provides donors the option of giving to a permanent invested fund with a percentage of interest paid back to GoodSam each year to use for current operational needs. If you, your church, business or civic group would like to hear more about the GoodSam Legacy Fund, call the Good Samaritan Center at 865-986-1777. Our presence on TellicoLife helps us connect with you! We hope you like what you see, are passionate about what we do and would consider supporting us though volunteering or donations. 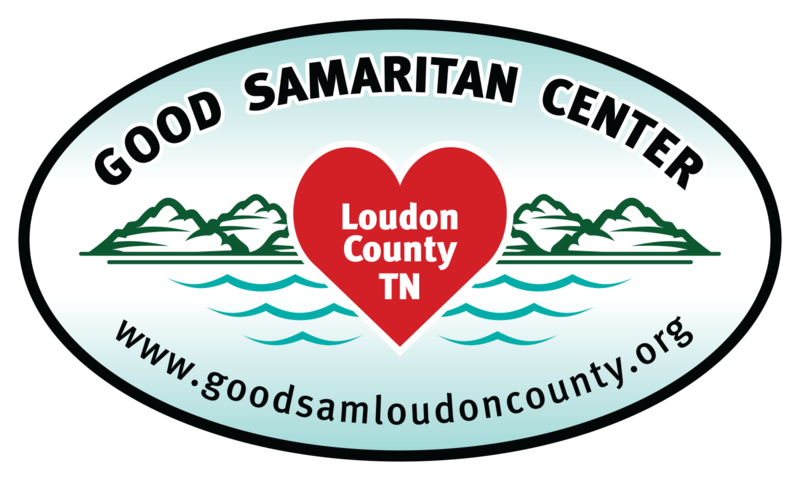 This page highlights some of the functions of Good Samaritan of Loudon County, and provides an easy link to our full web site. Check the TellicoLife Calendar under Comm Svc (Community Service) > prefix GoodSam for volunteer and fundraising activities which may be of interest to you.